The 1st week of April saw the return of Cadillac1944 as well as big losses to Gus Hansen, David Oppenheim and said Cadillac1944. From the beginning of the year up until a few weeks ago, Cadillac1944 had been one of the regulars at Full Tilt Poker’s nosebleed tables. He was also one of the biggest losers, so things made perfect sense when a while ago he vanished from the online poker tables: everyone figured he’d run out of money. A few days ago though, he re-surfaced, bent on revenge and looking to get back some of the money he’d dropped. He hit the nosebleed stakes straight away, and straight out of the gates, he ran into Scott Palmer. The bottom line: things didn’t end well for Cadillac1944, as he dropped another $258k. He played at the $300/$600 PLO tables against Tom Dwan, LokoIsBack, Scott Palmer and Phil Galfond. The action was furious and several record-breaking pots developed. 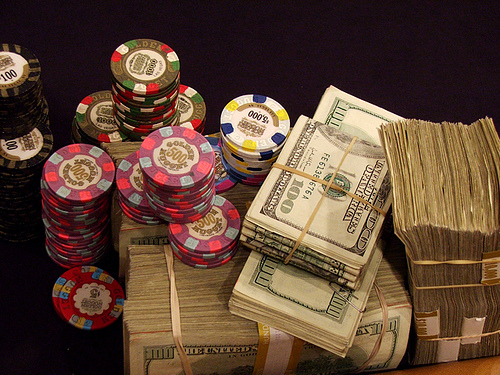 The biggest pot of the session, a $369k monster, proved to be the biggest pot of the entire month too. No fewer than 4 players tossed all their chips into the middle on the flop. Palmer was a 63% favorite when the money went in, having made a set of Qs on the flop. His advantage was preserved by the turn and the river, and he ended up scooping the monster pot. Cadillac1944 lost pretty big in this hand and so did Phil Galfond. Unlike Cadillac1944 though, Galfond managed to rebound a few hands later, grabbing a $300k pot of his own. Once again, there was a multi-handed all-in after the flop, with Galfond, Cadillac1944 and LokoIsback involved. Galfond had made top set on the flop and he even had a flush draw to back him up when he shoved all-in. Once again, the turn and the river failed to dethrone the favorite and Galfond managed to recover some of his losses. The biggest winner of the week was Scott Palmer, who generated a $500k+ profit. FinnishNightmare, Jared Bleznick and Patrik Antonius were also winners. The biggest loser was Gus Hansen, followed by David Oppenheim and cadillac1944. 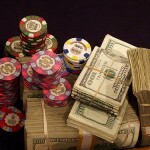 Sign up for a poker rakeback deal and secure a steady trickle of extra online poker revenue.